Offering direct access to the beach, this Grosseto-Prugna hotel is within 12 mi (20 km) of Ruppione Beach, St. Francois Beach, and Trottel Beach. Port de Plaisance Charles Ornano and Musee Fesch are also within 12 mi (20 km). Situated near the airport, this hotel is within 9 mi (15 km) of Ruppione Beach, Port de Plaisance Charles Ornano, and Musee Fesch. Chapelle Imperiale and Hotel de Ville are also within 12 mi (20 km). Nestled on the beach, this Grosseto-Prugna hotel is within 9 mi (15 km) of Ruppione Beach, St. Francois Beach, and Port de Plaisance Charles Ornano. Musee Fesch and Chapelle Imperiale are also within 9 mi (15 km). Located in the heart of Grosseto-Prugna, this residence is within 12 mi (20 km) of Ruppione Beach, Port de Plaisance Charles Ornano, and Musee Fesch. Chapelle Imperiale and Hotel de Ville are also within 12 mi (20 km). How Much is a Hotel Room in Grosseto-Prugna? 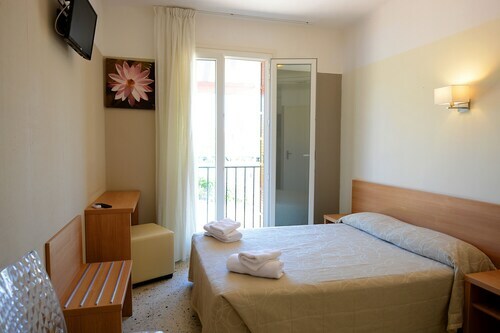 Hotels in Grosseto-Prugna start at $73 per night. Prices and availability subject to change. Additional terms may apply. Travelocity users will discover 6 quality hotels within an easy drive of Grosseto-Prugna, however you won't find any within Grosseto-Prugna itself. The Miramar Boutique Hotel, Corsica, which is the closest hotel, is situated 14 miles (22 kilometers) from the city center of Grosseto-Prugna. A secondary close Travelocity hotel is the Hotel Demeure Les Mouettes, situated in Corsica, about 12 miles (20 kilometers) from the middle of Grosseto-Prugna. 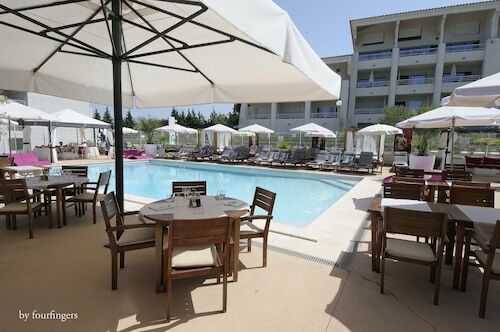 The Sofitel Golfe Ajaccio Thalassa Sea & Spa is situated 9 miles (14 kilometers) from the main part of Grosseto-Prugna. 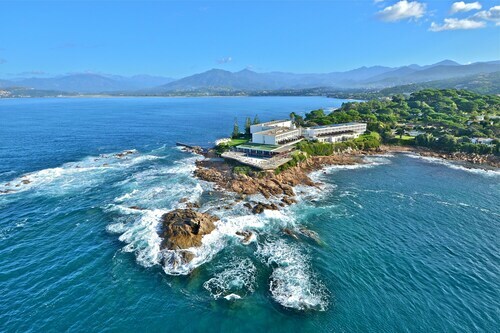 Or, alternatively, the Hotel du Golfe is located 11 miles (18 kilometers) away. Alternative Travelocity-listed accommodation options are the Radisson Blu Resort & Spa Ajaccio Bay and the Hotel Residence Abbartello. After spending time in Grosseto-Prugna, make the trip to soak up the other cultural and scenic attractions of the Corsica area. If you love nature, be sure to explore Corsica's beaches. You could also spend time at the area's ruins, traditional villages and fortresses. Adventurous visitors might also try mountain biking in the area. Are you looking for activities? Consider spending a day or two discovering Cimetiere Marin and Sperone Golf Club, which can be found in Bonifacio, 35 miles (55 kilometers) to the southeast of Grosseto-Prugna. The Lodge De Charme A Cheda and Hotel Genovese are just a handful of the Travelocity-listed short and long-stay alternatives in Bonifacio. 30 miles (46 kilometers) to the northwest of Grosseto-Prugna, you can find Ota, which boasts the Hotel Eden Park and Hotel Kalliste. The Calanches and Genoese Tower are a couple of the most popular points of interest to visit in Ota. Simply because you and your family are traveling, who's to say that you can't feed your obsession with a day watching sports. You will find Stade Armand Cesari 60 miles (95 kilometers) to the northeast of Grosseto-Prugna. Modern visitors who are interested in staying in the neighborhood, book a room in the Sud Hotel or Hôtel du Palais. Campo Dell Oro Airport is situated 9 miles (14 kilometers) away from the middle of Grosseto-Prugna. Should you desire to find a close base can easily secure a night via Travelocity at the Best Western Ajaccio Amiraute or Hotel Club Marina Viva.